Why pay more at the big stores? We feature high quality cars, trucks, vans, and SUV’s at affordable prices. Our vehicles come from the same sources, only our low cost overhead allows us to provide them at prices thousands of dollars less than other dealers. Every vehicle is serviced and safety inspected to make sure you’re getting the highest quality vehicle for your hard earned dollars. Call ahead on a specific unit and we’ll have it washed and ready for your inspection upon your arrival. A salesman will be glad to send additional pictures or do a special test drive prior to your trip to make sure there are no surprises when you arrive. Our staff is dedicated to making your purchase a quick easy one trip experience, with a minimum of stress. Buying a car should be a pleasure not an ordeal. 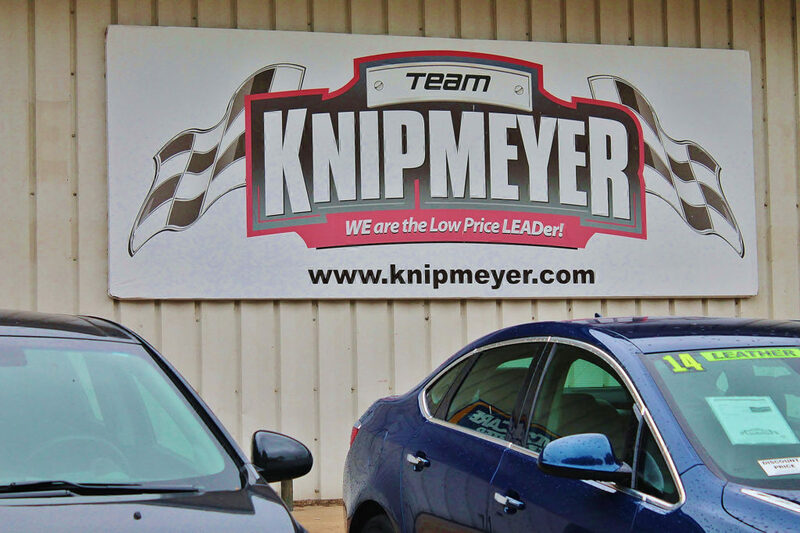 Steve Knipmeyer and his staff will make sure you are satisfied with your purchase. Call today at 1-888-731-8630 to see just how easy buying a car can be.